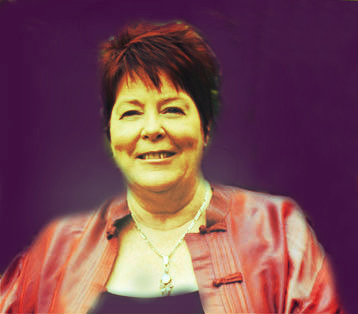 Recognized as one of Australia’s leading medium, psychic, clairvoyants - Gypsy Maggie Rose is constantly assisting people from all over the world to find comfort and peace with her accurate readings. Maggie is in constant demand for the following - Personal Psychic Readings, Past Life Readings , Psychic Dinners , Ghost Tours, Urban Shaman Courses, Spiritual Retreats, Spirit Guide Readings, Channeling, Messages from Heaven, Psychic Development Workshops, Angel Readings and so much more. Immerse yourself in the world of Gypsy Maggie Rose and connect with loved ones past. Receive guidance and direction for your own personal journey. The unbelievable insight and psychic medium abilities of Gypsy Maggie Rose will change your life forever! Written and produced by Gypsy Maggie Rose and gifted Shamanic healer “Pauline‘, “Sisters in Spirit” is the story of a journey like no-other. 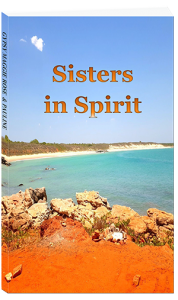 A story of enchantment, frustration, enlightenment and spiritual healing, this story explores the lives of two very gifted spiritual women, and the intriguing journeys they have taken separately in this lifetime. Their paths crossed, their friendship developed and through this powerful connection, magic happened. “We have shared the production of this book, with an authentic ‘GHOST WRITER.” He prefers to be known as the Principal Editor or Editor in Chief! The whole process began on a train on the way home from Kalgoorlie, where our ‘friend’ Joe popped in, to set this book in motion. Joe is very much in Spirit, although throughout the organising of this book, he has constantly given direction, guidance and at times direct orders. Joe was a farmer, a musician and a gentle, down to earth man who did not believe ‘in this stuff. This is a story of love, hope, struggle, healing, and connection to spirit and beyond……Our journey is your journey. and so much more.... Follow Maggie on Facebook. Free Alira Light Healing to you and your loved ones. To be included on the healing list, send Maggie a private Facebook message with your full name and the names of anyone who you would like included on the list. My first meeting with Maggie Sinton was at an evening at the Central Greenough Historical Settlement. Maggie was chatting with different people about loved ones that had passed. When she came to my table, she began chatting with other people on the table, when she had finished with them, she did not want to move on, saying it felt like there was someone who had broken their neck or had a lot of pain in their neck. My Mum had recently passed after battling cancer which had spread and was on her spine between her shoulder blades. She went on to say a few things, but then she said that I should look after myself and go to bed at a decent time. I had just started having problems sleeping and no one knew of this. There were other things that Maggie got right, but by seeing Maggie on thus evening, she helped me grieve for my Mum. I have seen Maggie when she has visited Geraldton on 2 occasions, the first i was amazed with the things she was telling me, I have seen a few different mediums and by far Maggie has been the best. She is an amazing woman that loves to give back to the community. The second was a private session with a few close friends and family, by far the best session. Maggie is honest and upfront, has an amazing life story truly has a gift. Maggie is a very gifted lady that has been given very special abilities to be able to give very accurate personal psychic readings and many more services.I ha ve been luckily enough to have had several very accurate personal readings over the years by Maggie while living in Western Australia. Within the readings Maggie has revealed information that only I know and has been accurate about locations and time frames. We met Maggie in approx. 2008 when I first went for a reading. Over the years to come it has developed to a friendship taking us on many a journey. Maggies readings on all levels are extremely accurate and I find myself saying: ” Maggie said that! We have recently had channellings with Maggie. 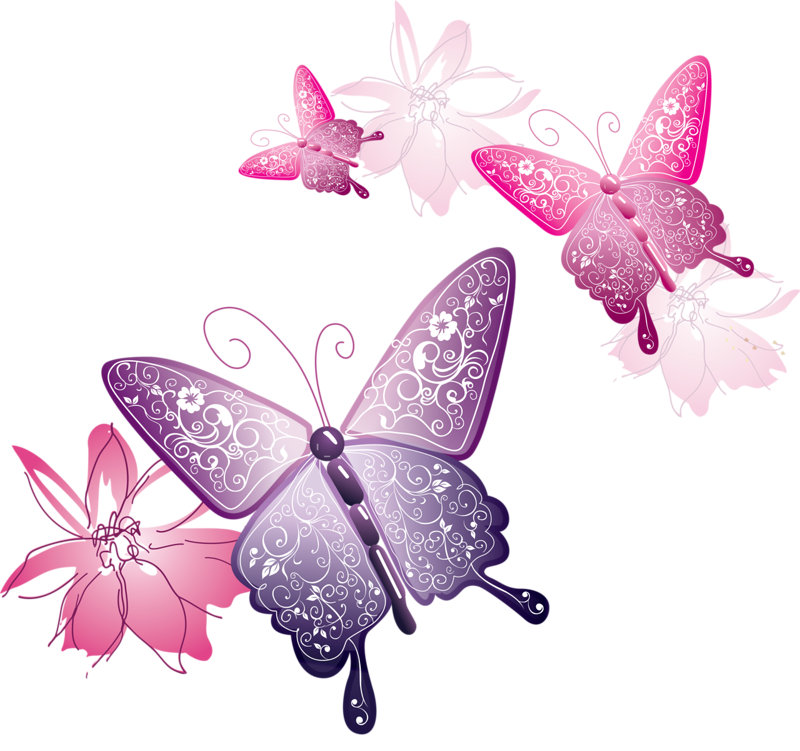 The spiritual guides and mentors if you would call them that, are very informative and have a wicked sense of humour. There are many messages brought through both on a personal level and on a planetary level. I find her very exact information to have soothed an aching heart and at times although I have answered my own questions Maggie has backed it up. My partner and I love her and know she is the real deal. The first time I met Gypsy Maggie Rose I was sceptical. Then she blew me away with all the things you’re taught not to believe. She knew a family members death and how he had his puppy with him. When I booked to see her all I gave was my first name. Maggie has helped me learn about crystal healings and many other things through the veil. She knew things I can’t fathom to know the knowledge of. Things about my life and my family history and my past lives. I am very blessed to know Gypsy Maggie Rose and being able to call her a friend is a high honor. I was lucky enough to secure an appointment with Maggie and she had recommended a spirit guide reading for me. I wasn’t sure what to expect. Maggie had asked me to write down questions to ask during the reading and I did, but I was overwhelmed as during the reading, Maggie channelled 3 of my guides who actually answered every single question that I had written down before I even had time to speak! I was blown away. This reading just gave me so much clarity and direction and it re-affirmed that I was on the right life path. People often say, listen to your guides, but I had always had trouble hearing mine until this reading. I am so grateful to Maggie for doing this reading for me. It has completely helped me to refocus and to feel confident about a lot of areas in my life. If you are feeling confused and are struggling to hear or feel from your heart….this reading will help you to see your way forward. Thankyou Maggie. Very grateful. LOVED the psychic development course! After 10 weeks with Maggie I have to say how much I loved this course! I’ve learned so much over the weeks, I’ve become more in tune with my own psychic abilities, and have grown as a person in my confidence in trusting my feelings/senses. If your thinking of doing the course, don’t hesitate. My time with Maggie has been wonderful, she is wealthy in knowledge, she knows her stuff! You’ll hear glimpses of her magical, wonderful life along the way. I was in awe of everything she spoke about. I’m already missing our weekly lessons and hope to learn more from her in the future. Wow….. What an eye opener! My first personal reading with Maggie was a real eye opener because Maggie came out with names rather than saying things like “You have someone in the family whose name begins with A” she just came out and asked “Who’s Alan?” And she asked me who James was and before I could say anything she corrected herself and said no Jimmy. This was an uncle of my husband. We were the only ones to invite him to our wedding. Then Maggie told me Jimmy was looking after me. This made me feel so happy. There were lots of other things that Maggie got spot on. Thank you Maggie. Sign up now to receive Maggie's E- Newsletter. Stay connected and informed of upcoming events, weekly horoscopes and life changing advice to help you navigate your way through every week. Simply enter your email address in the sign-up box below and watch out for Maggie's inspiring newsletter, delivered straight to your inbox.